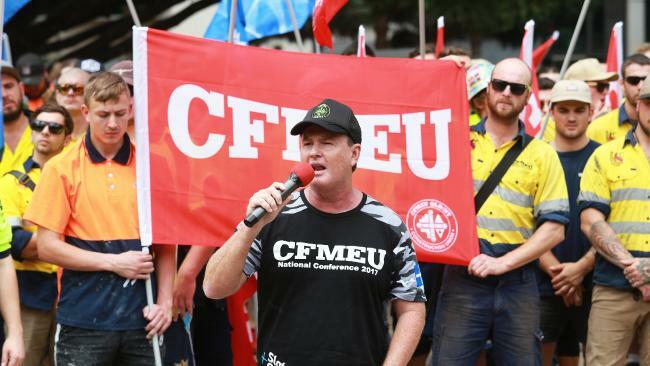 THE militant CFMEU has been blasted by the Federal Court for acting above the law and warned it could not expect to stay registered in it's current form. In a scathing Federal Court decision handed down on Tuesday, the court, by majority, reimposed the maximum penalty of $306,000, which was ordered against the union after it was found liable for the conduct of former state president David Hanna. The fines were imposed in October last year after Hanna threatened to bury a phone down a worksite manager's throat at the Broadway on Ann worksite in February 2015. 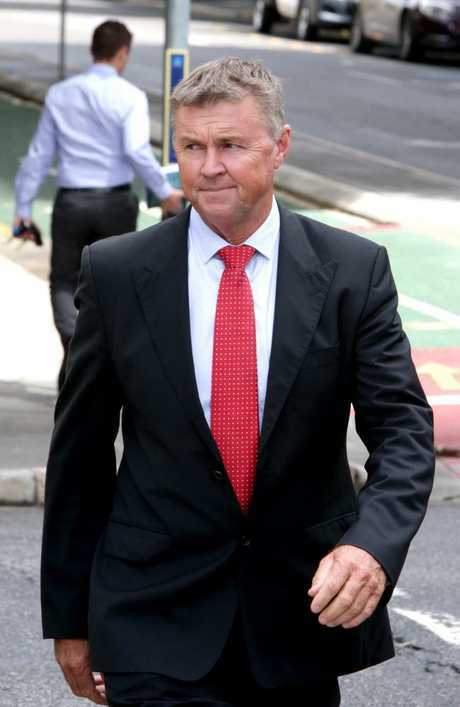 The Construction, Forestry, Maritime, Mining and Energy Union (CFMEU) was fined $51,000 for each of the six contraventions of the Fair Work Act made by Hanna when he illegally entered the Brisbane worksite. 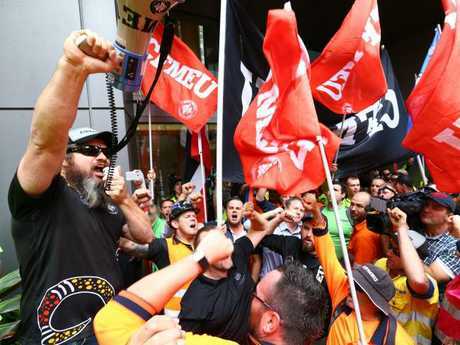 It appealed the penalties imposed, saying they were too high, but the court, by majority, handed down the same fines again, saying the CFMEU could not expect to remain registered in it's current form due to an "inability by its internal governance to rein in aberrant behaviour". A majority held the original decision-maker misapplied they law but they rejected the union's claims the fines were "excessive". The court found Hanna's union thuggery was in the "worst category" and warranted the maximum penalties. Justice Tracey said there were increasing concerns over the "ongoing misconduct of the CFMEU and it's officials". requirements of the Fair Work Act with which it disagrees," Justice Tracey said. "If this results in civil penalties being imposed they will be paid and treated as a cost of the union pursuing its industrial ends. The union simply regards itself as free to disobey the law." The court found the union had deliberately abused it's "privileged position". It found Hanna's conduct at Broadway on Ann was "unrepentant" and "outlaw behaviour".
" … the point for present purposes is that the conduct was subversive of workplace health and safety responsibilities of the very kind with which historically and legitimately, trade unions have been deeply concerned in the interests of workers …"
" … In short, the CFMEU, via Mr Hanna, had a choice on several occasions on 10 February 2015 at the premises to abide by (The Fair Work Act). Its deliberate choice was completely and pithily summed up in Mr Hanna's words: 'I can do what I like'," Justice Logan said.